How can you erase those feelings and memories? Everyone says "just let go." But what is letting go exactly? You can let go of a ball while playing fetch with a dog. You can let go of a bike while teaching a small child to ride without training wheels. You can let go of a hand you only wish to still be holding on to. What you can't let go of? A feeling. A memory. A time now passed. Because most of the time, these things are not controlled by our conscious minds. But rather the unconscious workings of our souls. You can't touch a feeling. It has no shape or solid form. You can't reach out and hold a memory. Because they are just pictures and videos held by our mind and our mind only. And time passed is nothing more than a moment you can never get back. So how am I supposed to let go of something I can't even hold? I can physically let go of a love after I've watched them walk away. I can let go of the tears as they come rolling down my face. I can try to let go of the hope of a love once lost coming back to me. A hope still raging inside of me. I can recall a feeling, a memory when I want to. But not always. These things have a way of coming up at the most unexpected and undesirable times. Sometimes a memory brings back the feeling of love and happiness and undeniable comfort that is attached to him. Sometimes a feeling brings back a breathtaking memory of him with an unquenchable intensity. Because no matter how much you will yourself to forget it all, you just can't. All we can do is hope that eventually it fades away or we learn how to cope. We learn how to make it feel normal rather than painful. Or someone finally comes walking into your life that makes you feel just the same way he did — and maybe even better. So instead of telling me to let go, tell me to breathe and stay strong. Because I can't help the way he makes me feel. I can't help the way he made me feel. I can't help when I'm reminded of him and my mind won't shut up and every moment together plays back on a constant loop. Remembering things I thought I had forgotten. Because here's the thing: I remember more about him than I do about some of my closest and oldest friends — and that's what gets me. That's what causes a surge of emotions and thoughts and memories. That's what's completely out of my control. I can't force my memory to remember something or forget it. It stores what it thinks is the most important. It holds on to what it thinks I may need. 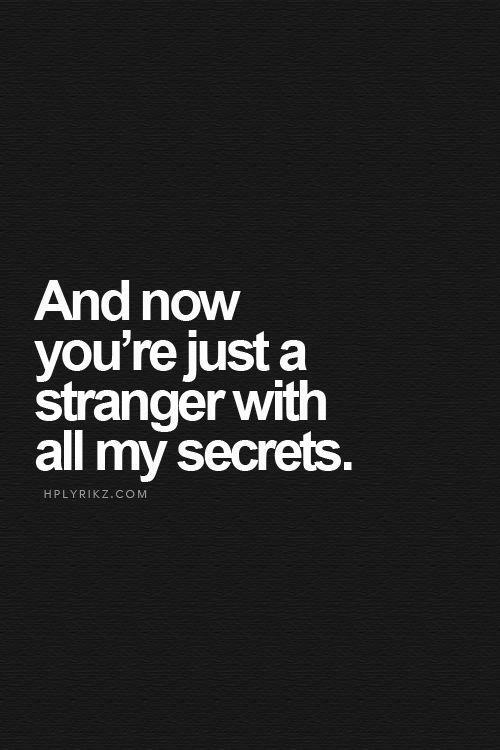 And I can't tell you why or how. I can't even tell you how I'm managing to deal with it all. I just am. The best I can. So please stop telling me to let go. Because I can't. Every ounce of my mind, body, and soul will let go on their own terms. Believe me when I say I'm trying to preoccupy my mind the best I can while all these feelings and emotions fade away bit by bit. While I create new memories that I can attach to these feelings so he doesn't have such a strong hold on me. This article was originally published at Pucker Mob. Reprinted with permission from the author.